Technique: oxided sterling silver in niello look, shiny in embossed points, black in engraved points. Usage: stud / post earrings. 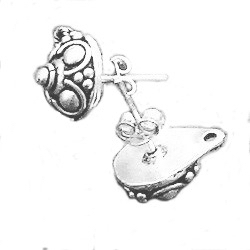 The body of the earring is to be attached to the bottom hole.